The new JBL Pulse 3, a waterproof Bluetooth speaker that provides 360-degree sound and LED lightshow, is now available in the Philippines. Equipped with three drivers and dual passive radiators, the bottom part of the speaker is designed to deliver 360-degree sound with a powerful performance. Its top portion, however, is dominated by its 360-degree LED light. The Pulse 3 can also light up your outdoor party, with IPX7 rating, users can even submerge it in a pool. Apart from this, users can elevate their music experience by connecting up to two devices, and connecting more than 100 JBL Connect+ enabled speakers. 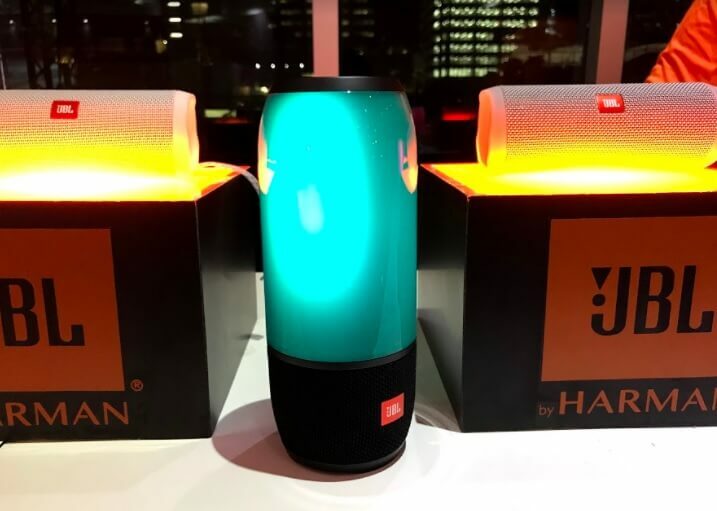 Also, users can customize the light sequences through the JBL Connect app. It is also equipped with noise and echo cancelling speakerphone, allowing users to take calls. It has voice assistant integration, too, enabling users to access Siri or Google Now through the speaker. The Pulse 3 is powered by a built-in rechargeable Li-ion battery that provides up to 12 hours of playtime with 360-degree sound and lightshow. The Pulse 3 is now available in the country, and is tagged at Php10,995.